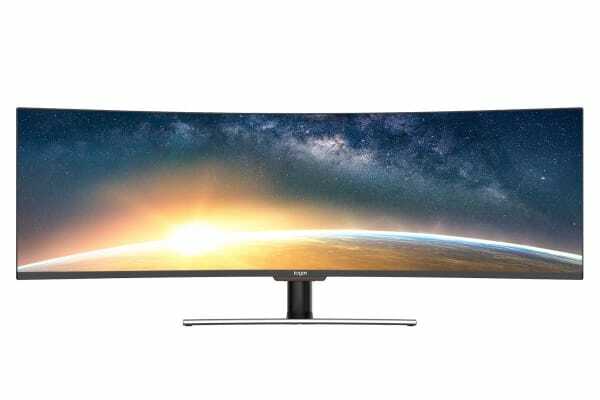 Whether you need space to spread out work or get lost in your game, this 49” curved 32:9 super ultrawide monitor is your ticket to extra productivity and super smooth gameplay. There’s nowhere for enemies to hide on the 49” Curved 32:9 Super Ultrawide 144HZ HDR Monitor (3840 × 1080) with refresh rates so blisteringly fast, you’ll get lost in the incredibly immersive gameplay and cinematic viewing. 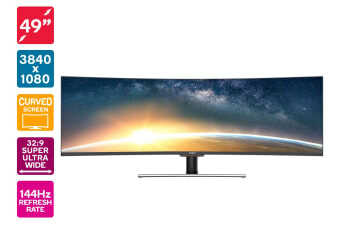 This gargantuan 49” 32:9 Super Ultrawide monitor maximises your field of view and reduces eye strain with an expansive curved display that will redefine your game. Featuring a fantastic Samsung VA panel with HDR support, this monitor delivers the deepest blacks and sharpest whites with out-of-this-world contrast that is noticeably richer, more vibrant and realistic for iMax-worthy cinematic-viewing. You know the feeling when the screen lags in a critical moment and you’ve been gunned down in the meantime, only to respawn seconds later and be shot again? Ditch the lag and screen distortion with FreeSync technology and an epic 144Hz refresh rate with lightning-fast 4ms ODRT (overdrive response times), so you’ll always be ready to lock and load. 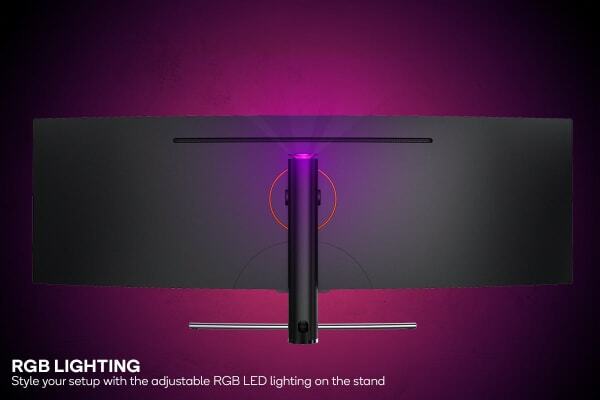 The perfect addition to the office for creative professionals, or gamers and movie enthusiasts who want a more immersive experience, this stunning monitor removes the need for a dual screen setup and provides plenty of space to seamlessly multi-task! Plus, with a height adjustable stand and curved screen design, this monitor is made to minimise eye fatigue so you can work and play for longer.